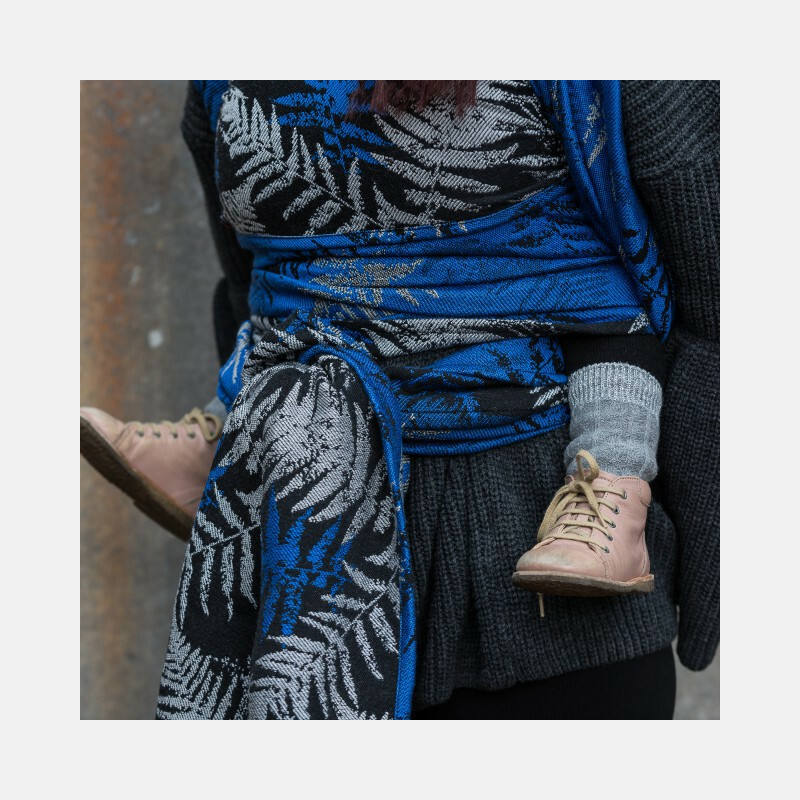 size 7 - 310€, size 6 long (prewashed) - 290€, size 6 - 290€, size 5 - 270€, size 4 - 250€, size 3 - 230€, size 2 - 210€, ring sling - 200€, scarf (265x34 ) - 95€. Black, white and a beautiful royal blue. 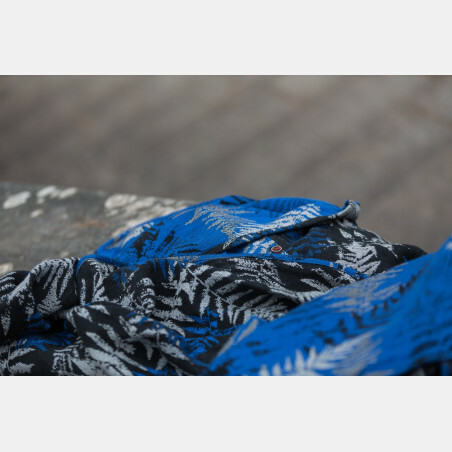 Fern Blue Bird is a stunning, catchy wrap with many shades. 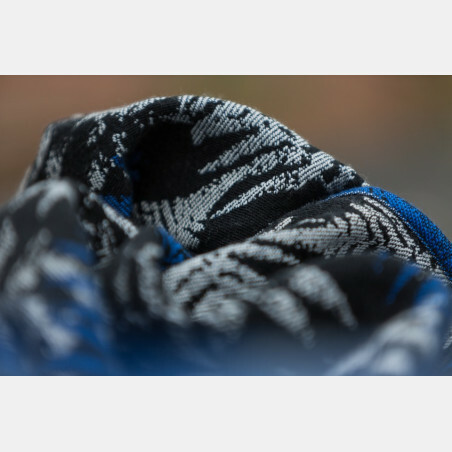 The wrap is woven in our signature cloudberry weave, which provides you with not only strength and a cloudy, comfortable feeling on your body, but also makes this wrap breathable, easy to wrap with and incredibly soft. 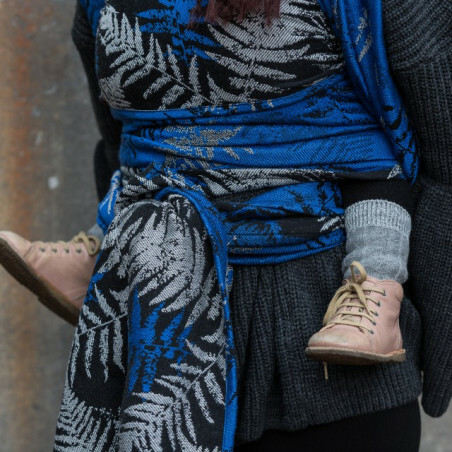 Medium heavy wrap, perfect for all ages. Breaking-in becomes part of history, because this wrap is immediately ready for the best cuddles.